Rafa Nadal has been more consistent than Roger Federer this season, according to Stefano Tsitsipas. 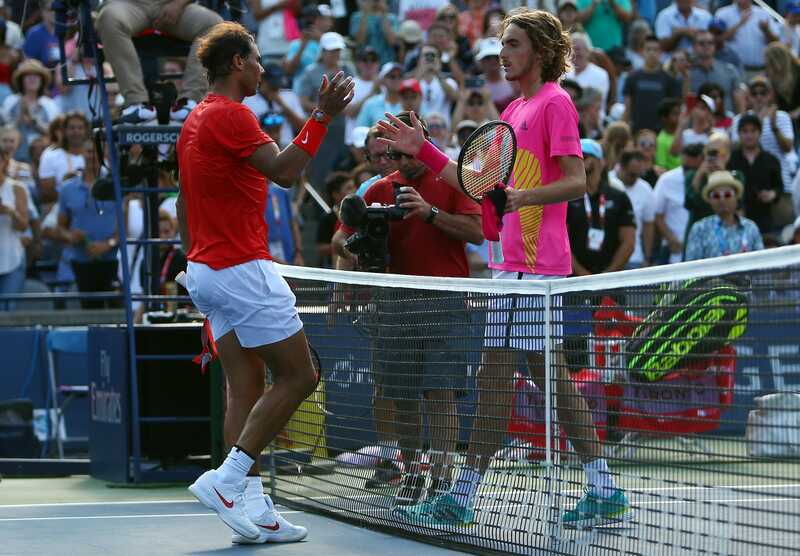 Tsitsipas, one of the sport’s brightest talents, believes Nadal will eventually go on to win more Grand Slam titles than Federer, his main rival. Tsitsipas recently lost to Nadal in the Canadian Open final, but lauded the Spaniard for being the “bulldog” of world tennis, who will “always make you suffer” on the court. But one of the top young talents in tennis begs to differ. Stefanos Tsitsipas – ranked 15th in the world by the ATP – believes Nadal, the “bulldog” of world tennis, has been far more consistent this season, and will eventually win more Grand Slam titles than Federer himself. A 20-time major champion, Federer has broken many records. He is an eight-time Wimbledon men’s champion, has the highest hard court match-winning percentage at Grand Slam tournaments (87.56%), and has spent a record 310 weeks positioned as the best tennis player on the planet. But Nadal’s achievements also make extraordinary reading. The clay king is the youngest male athlete to win a career Grand Slam (at 24 years old), has won the most titles at a single Grand Slam event (11 at the French Open), and actually has a winning record over Federer with 23 victories against just 15 losses on all surfaces. Though Federer began the year in exceptional fashion by winning the 2018 Australian Open, the rest of the year has all been Nadal, as the 32-year-old has won four ATP events, as well as the French Open. Getty ImagesRafa Nadal recently toppled Stefano Tsitsipas. 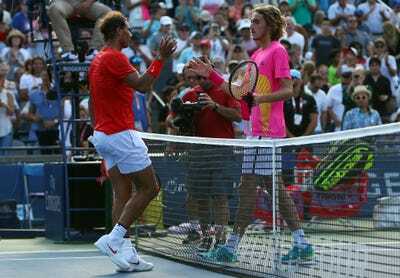 Tsitsipas recently faced Nadal in the Canadian Open final on August 12, and lost in straight sets (6-2, 7-6). But the Greek 20-year-old marvelled at his opponent in the post-match press conference. According to TennisWorldUSA, Tsitsipas came to realise there was a tremendous gap in quality between himself and Nadal, and needed to work far harder if he is to ever come close to closing it. “I don’t want to be rude, but [I need to] bust my arse more on the court,” he said. “Work more hours and become stronger and a more solid baseliner. And withstand pressures, physical pressures on the court that to him it just seems like nothing special. “That’s the big difference between my game and his game. And the patience that Rafa has is amazing. He never cracks. He will always grab you like a bulldog and always will have you – he will always make you suffer on the court.